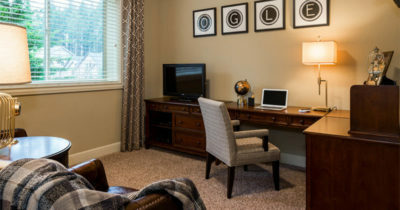 It’s fun to add some greenery indoors and liven up your living space. 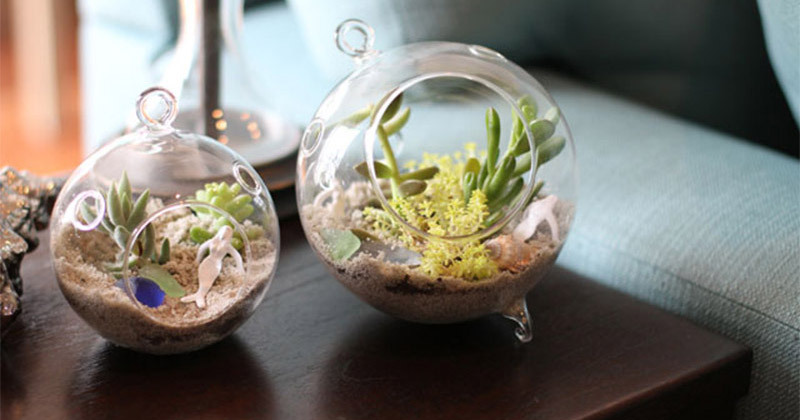 A terrarium is an ideal way to hold onto the vibrant plant life of summer even during the cold winter months. 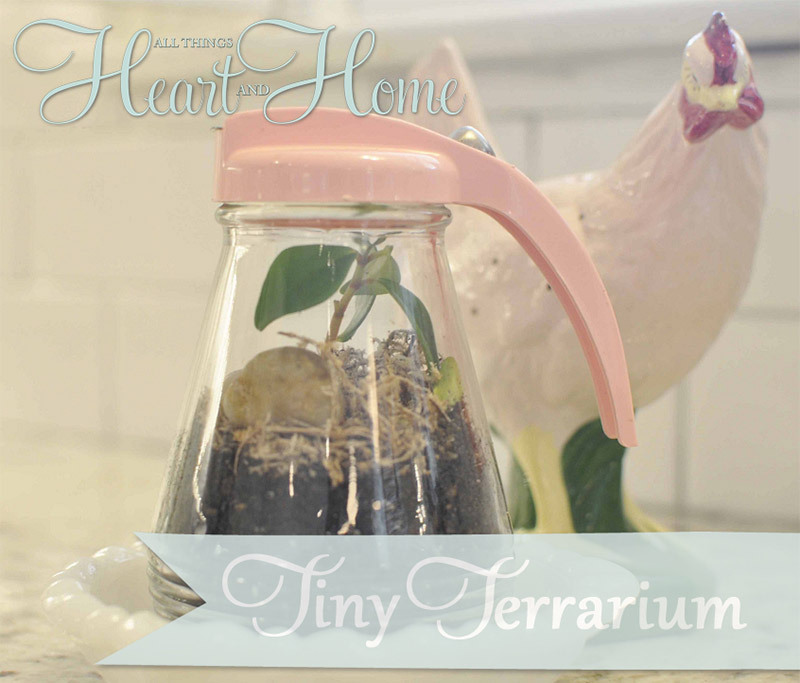 And to help you get started I’ve collected a few terrarium ideas to grow your own little ecosystem right inside your home. Each one is a fun project for kids or adults and they’re all pretty quick to make. What better way to spend your afternoon? Don’t let the size fool you; this little setup is the perfect habitat for a couple tiny plants. 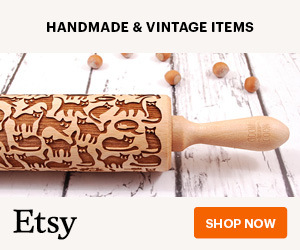 It’s also cute as a button. A maple syrup dispenser brimming with plants is ideal for any kitchen space. 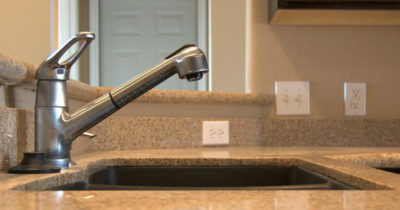 You can even find a dispenser with a lid to fit your own kitchen’s color scheme. Or you could even grab a couple syrup dispensers to add to your home: one for the terrarium and one for the breakfast table! 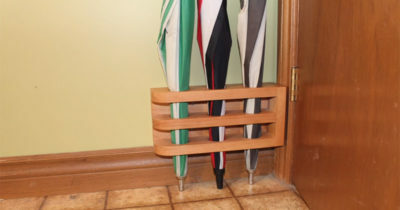 This is a quick and easy project that’s perfect for any skill level. 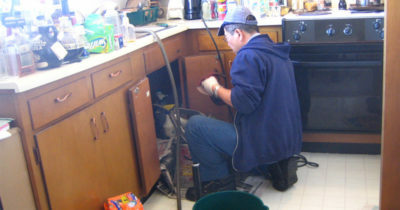 You don’t have to be a true DIY’er to tackle this one. If you’re anything like me then you take your morning coffee seriously. No doubt it’s one of my favorite indulgences. 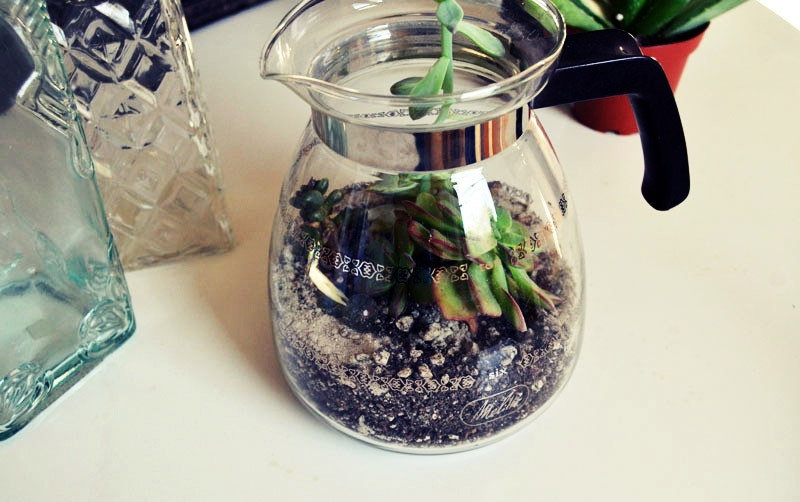 And I can’t think of anything better than combining two of my loves: a coffee pot terrarium. 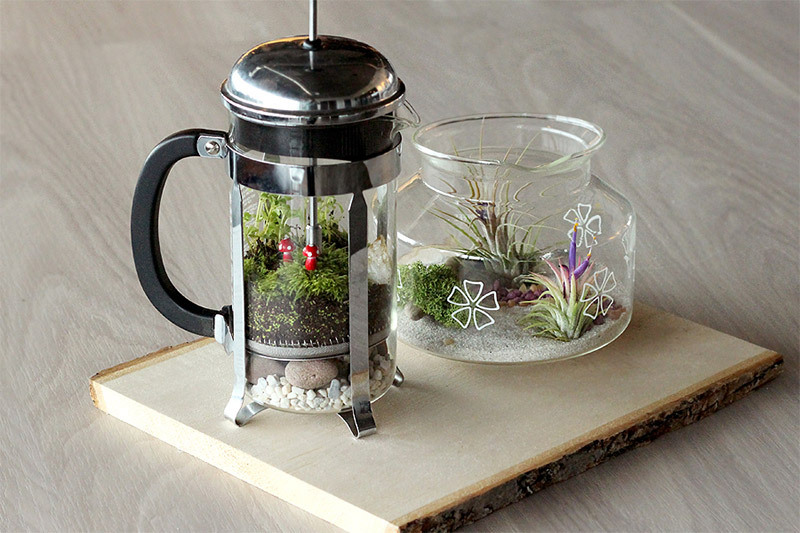 This terrarium design uses a coffee pot as the perfect habitat for a few plants or even a small zen garden. It’s a quick and easy design so it’s the perfect kind of DIY project to follow while enjoying a cup of java. When it’s done you can set your coffee pot terrarium near your real coffee pot and stir up conversations around the morning pot ‘o joe. 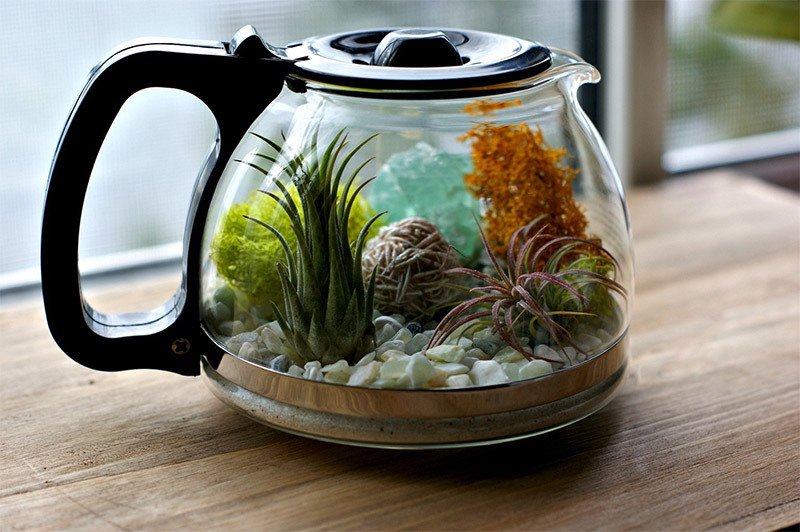 This is another coffee pot terrarium quite similar to the one above. Both of the ideas are easy to follow but they use different sand and rocks. What it all boils down to is your own sense of taste and style. 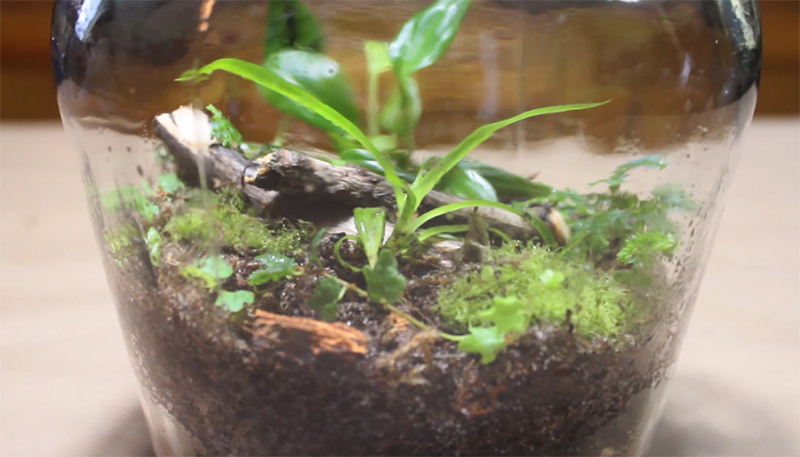 No matter which DIY coffee pot terrarium you follow, chances are good you’re going to breathe your own vision to the piece. This project lists using a few more rocks which will make the terrarium a bit heavier. Although I do like the varying plant types in this terrarium design. The taller plants mixed with shorter ones creates a more visually diverse terrarium scene. 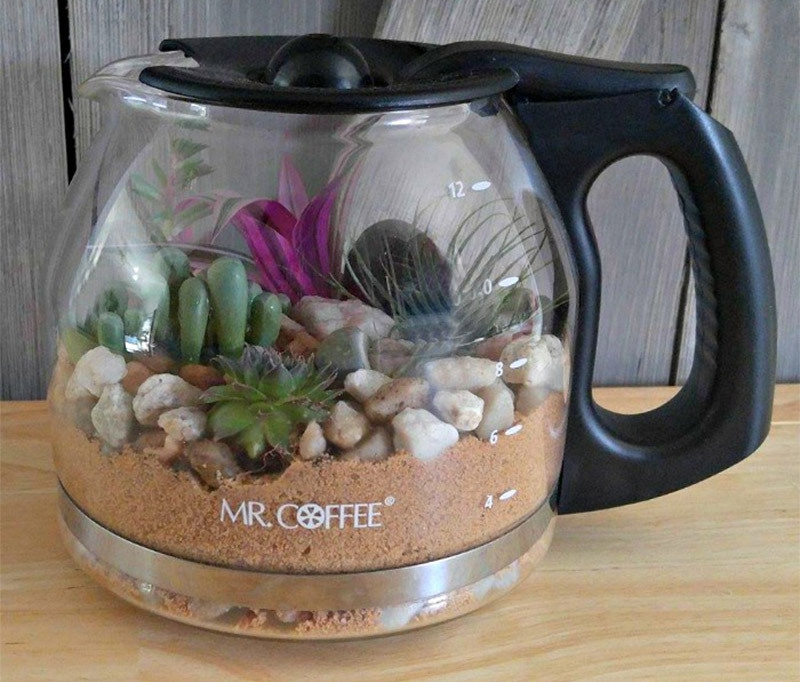 Yep you guessed it, another coffee pot terrarium. What can I say? I like my coffee the way I like my terrariums. What I like about this one is that it uses a taller carafe so you can plant a tall succulent in the heart of the pot. It also doesn’t have a lid so the plant is free to peek out the top along with any other plants you add. I love this terrarium idea because it’s so unique. 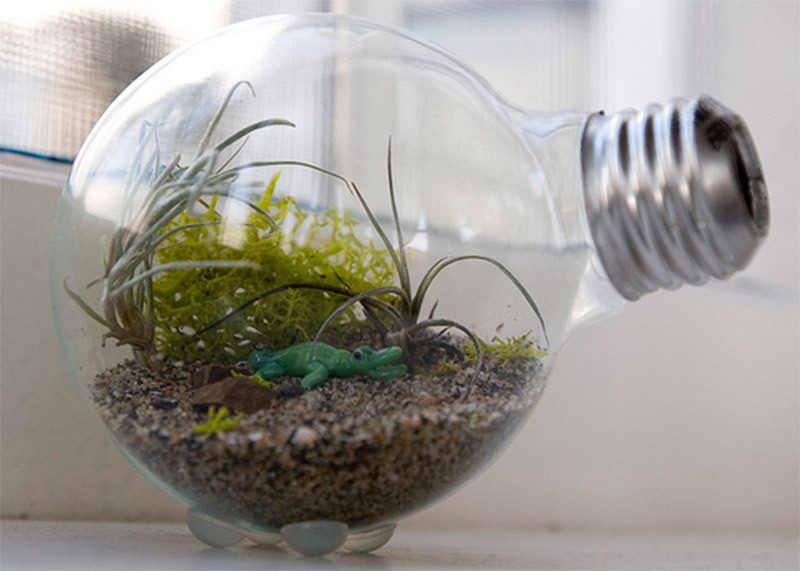 Chances are anyone that sees your finished light bulb terrarium is gonna be left in amazement. The instructions for this DIY terrarium project are fairly straightforward. You’re going to need a steady hand though and good eyesight. If you want a true masterpiece for your tiny terrarium in a bulb then you have to dedicate some time to the project. All worthwhile in the end of course. For all you matey’s who love the open ocean this project is just for you. It’s certainly unique and not very time consuming. If you have daughters they’ll love the idea of a mermaid room theme. 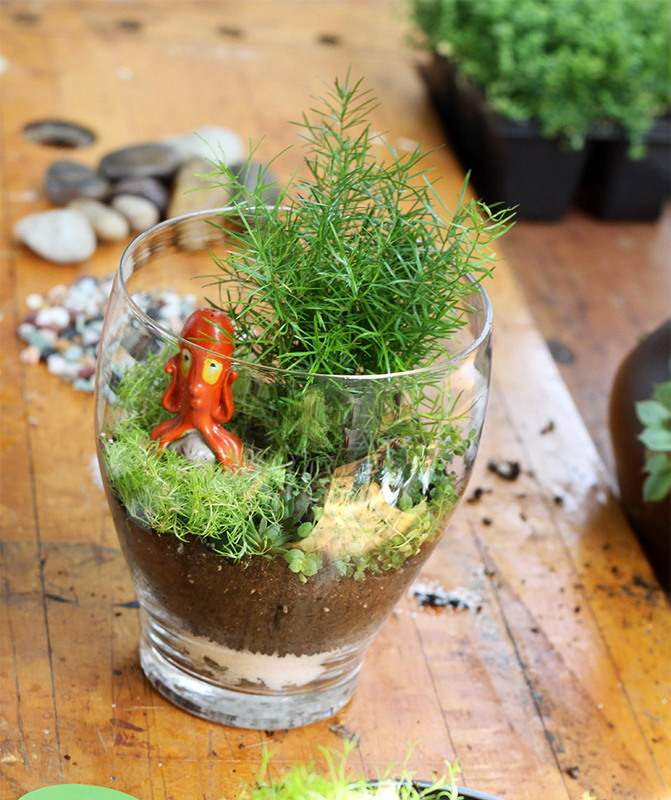 Yes this terrarium isn’t just for kids! 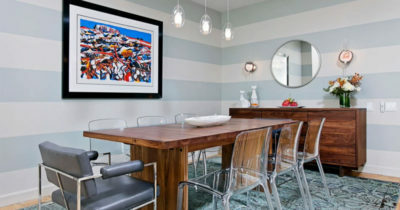 You can place the finished beach-themed terrarium in any part of the house and it’s going to stand out no matter what. One more coffee pot design? Sure why not, and this one’s a lot more visual! This one is laid out in an easy to follow video. Just listen and follow along. 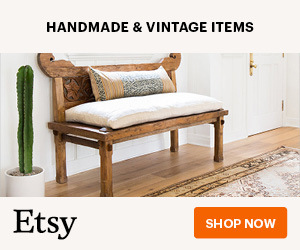 Items you can mostly find around the house or pick up for cheap. 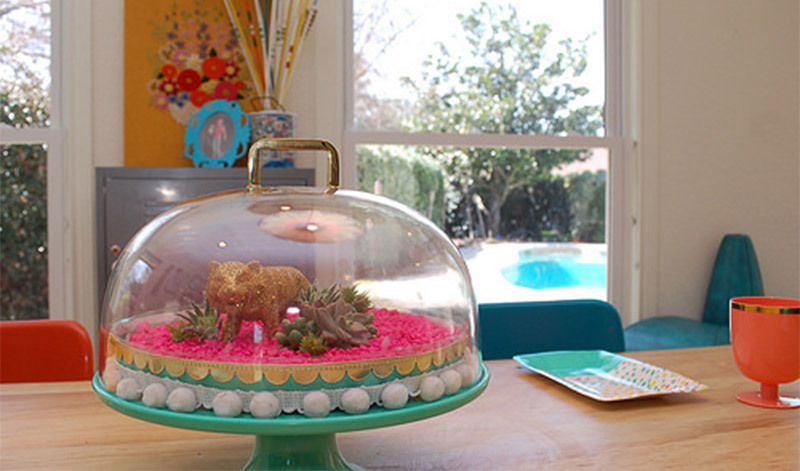 I like the deer in this finished terrarium design. Very cute and reminds me of Bambi! The pumpkin is also a nice fall touch and makes it an ideal project for autumn decorations or even Halloween decorating if you nab some ghostly miniatures. I have an idea: let’s all scream for cake terrariums! 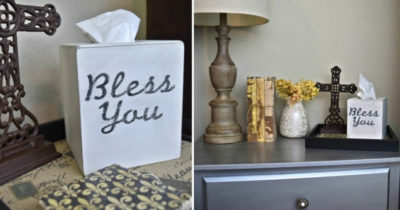 This is a darling project that’ll turn into the focal point of any room. I especially like the girly hot pink used to create this colorful piece. The easy to follow instructions are a breeze regardless of your DIY nature(or lack thereof). This would be a great project to do with your kids too. Two distinct terrariums made from a coffee pot and a french press, respectively. And they’re both pretty sweet. One is a dry terrarium setup and the other is a wet environment. Kind of like a yin & yang combo. The instructions are easy to follow for both although it’ll take some time to finish. 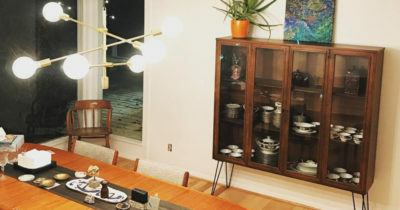 When you finally complete your pair you’ll have two very distinct ecosystems to marvel over and captivate guests with your mildly interesting tale of DIY success. 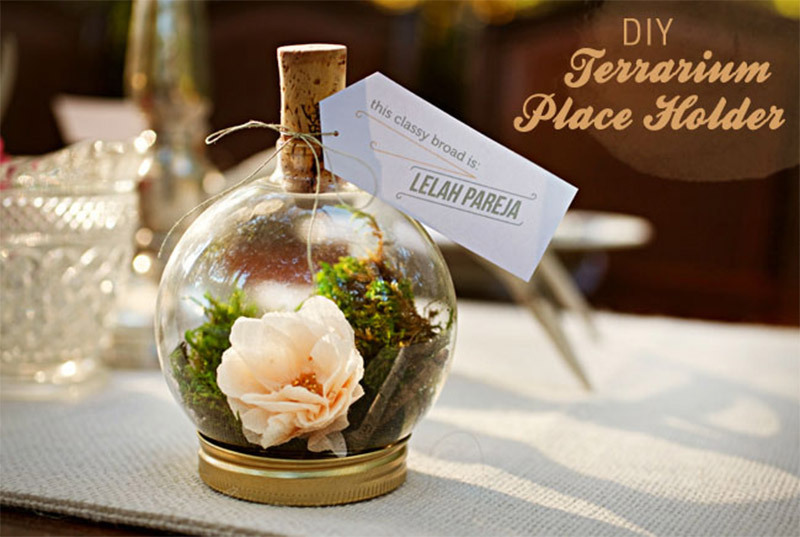 If you’re planning a birthday, wedding, or even a formal dinner party then making one of these small terrariums would be the perfect way to impress your guests. These sophisticated little pieces are easy to create and look fabulous on any table. But since they work as placeholders you’ll need a lot more materials to round out a set. 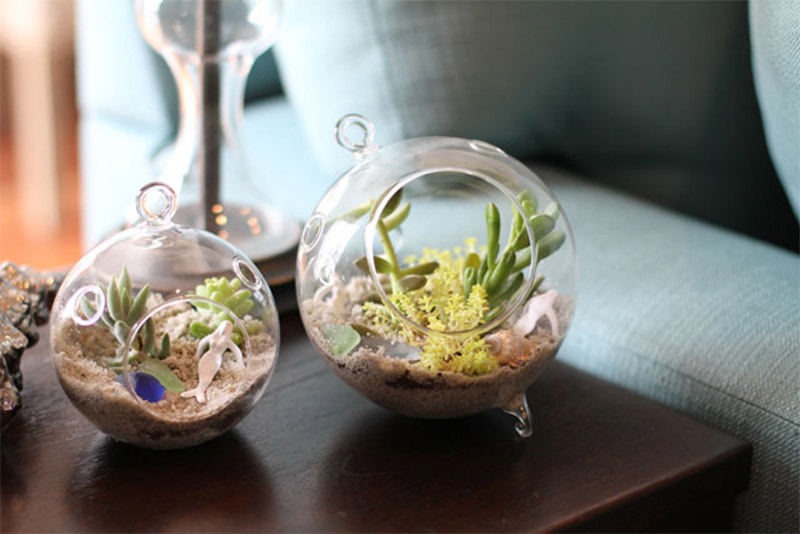 This terrarium DIY set is perfect for a newbie. It features easy to follow instructions and gives you the leeway to bring out your own artistic flair. I applaud the simplicity and easy style across many different containers. You decide what type of glass holder you want. And you can look through your cabinets until you find the perfect glass piece to repurpose into your distinct terrarium vision. Talk about a fun project with plenty of freedom! 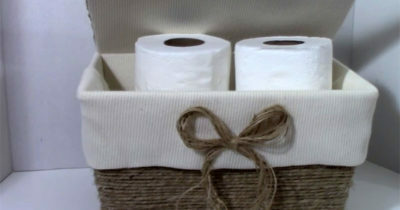 This DIY guide is the perfect way to fend off the winter doldrums and with a bit of green space in your abode.